With such gourmet restaurants and food around it was surprisingly difficult to find some decent food for lunch nearby the office. 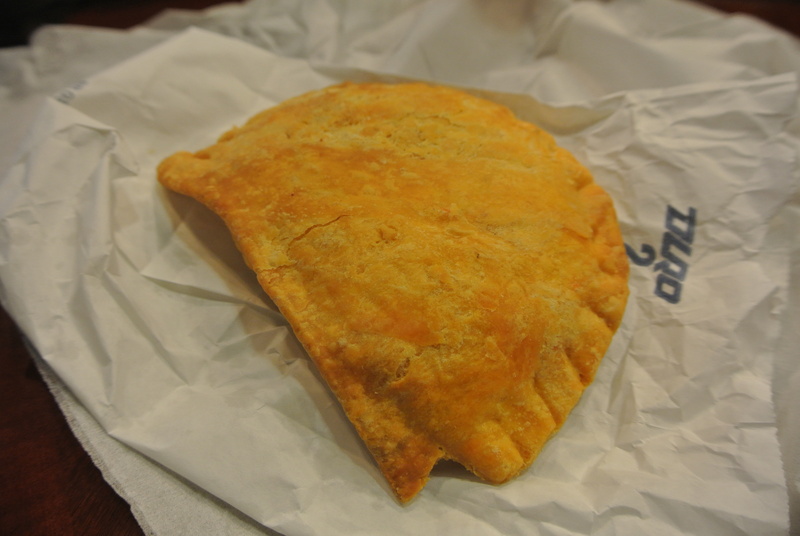 Speaking to my colleagues, coming to Grand Cayman and not have rice and beans would be sacrilage so I was told that the best on the island is at Champion House. 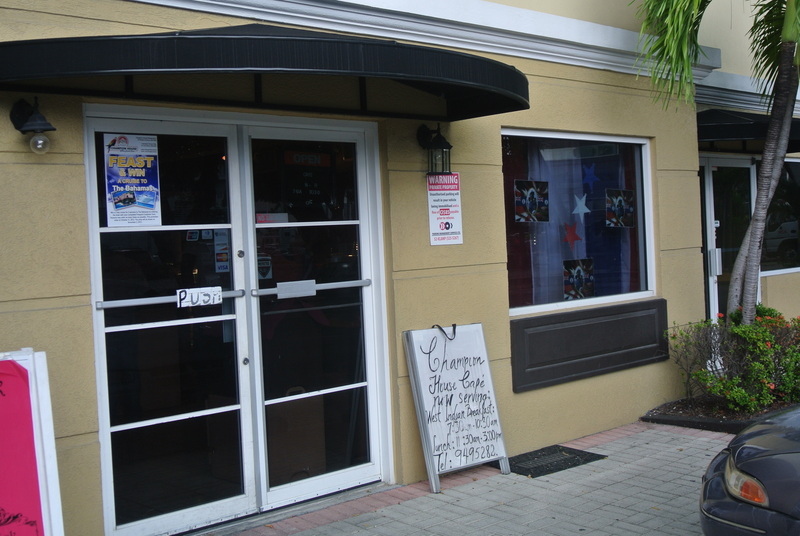 Because we didn’t have much time for lunch, Champion House had a cafe just one block away that served lunch, buffet style! And when we arrived, not only was there beans and rice but jerk too! I must admit, the beans and rice were good but the jerk pork was amazing! I haven’t had much jerk in my time but I definitely plan to in the future! The pork was tender and full of flavour from the spices and marinade, check out my lunch! 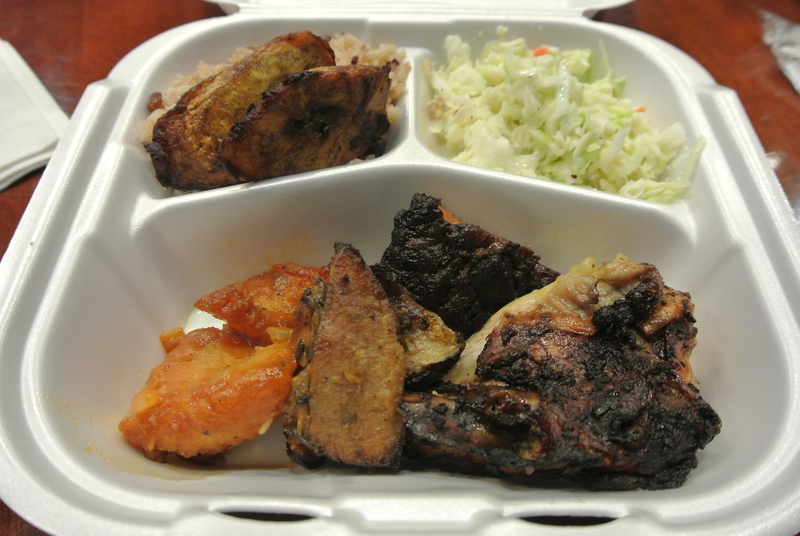 My lunch from Champion House Cafe – jerk pork, jerk chicken, fish a la cayman style, fried plantains, beans and rice and coleslaw. 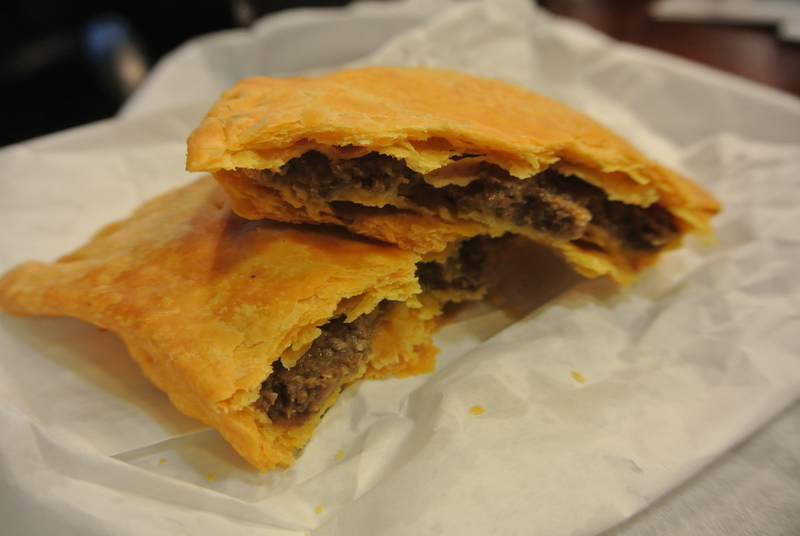 Inside the beef patty – you can see the thickness and flakiness of the crust!